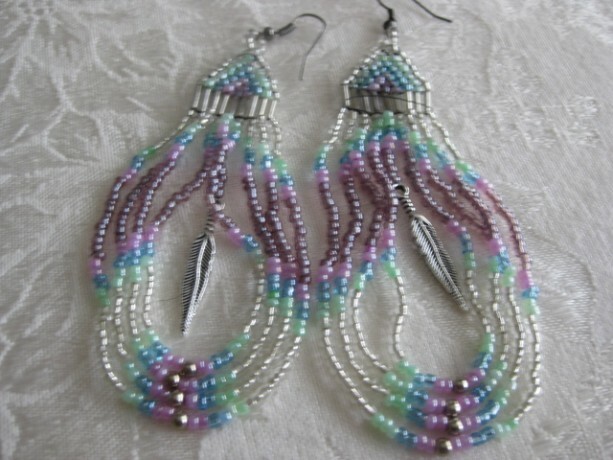 Using seed beads and silver bugles, I beaded these Native American style earrings. The measure 4.5" long including wire hook and .75" wide. 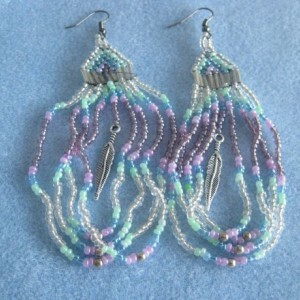 They are Clear, mint, pink, blue, purple and silver. 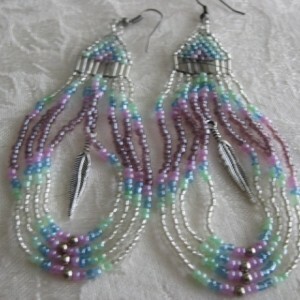 There are 4 graduating loops and a center strand with a Tibetan Silver feather charm. 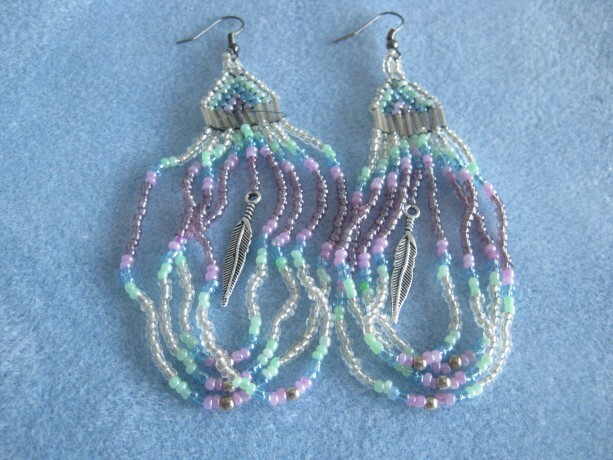 Hand made by me in a smoke free, pet free studio.